Susan Hatler proves yet again with this book just why I love her! 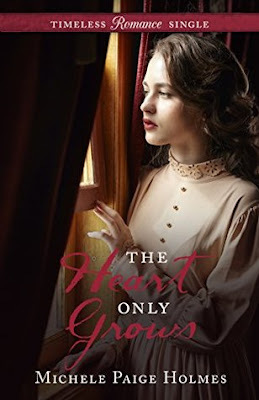 Her books always give me butterflies and swoony feelings with flirty banter and fun characters. And Dallas? Um, hello. Morgan and I may have a crush on him together. He's just full of strong manly traits that are so attractive! It's always satisfying to see a character find the strength to follow their dreams and Morgan definitely does that in this book. She has tried to fit the mold her mother has for her but it's never been what she wants. When Morgan finally finds the courage to step into her own path and find her own happiness, my heart did a little song of joy. She owned her decisions and I felt that strength. I love the added depth of emotion and connection a shared tragedy brings to Morgan and Dallas's relationship. Their history has many good moments and couple not so good. It gives the story a good balance with all the reconnecting chemistry that is flying around. This book is part of a series but can stand all on it's own. I've been reading the series and I am absolutely loving it. 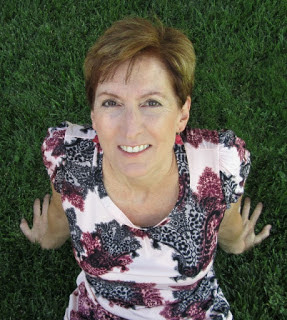 Each book is by a different author but the books intertwine with location and a common character of Miss Anna Cate. 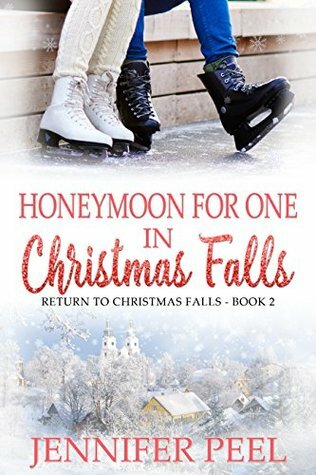 This is the perfect series to get into with the holiday season fast approaching! 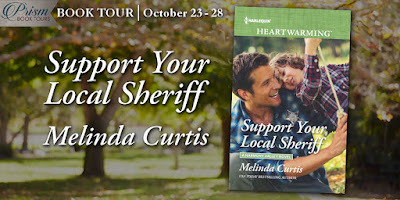 Support Your Local Sheriff by Melinda Curtis + Book Giveaway! I'm just going to start out by admitting that I just may be half in love with Sheriff Nate Landry. He is seriously swoony but not for his good looks (which he has!) or his suave (which he doesn't have much of!). His attraction, for me, is his quiet strength, his patience, kindness and his good manners. Is that weird? He is a true gentleman and I just adore him. Then you add in a super cute two year old and that man gets even MORE attractive. Yup. It's true. That two year old Drake made my mommy instincts hum. I want him. This is a slow building romance. The sparks don't really jump off the page but the story has a gentle pull that kept me engaged and interested. There are all kinds of meddling, crazy and quirky characters thrown into this book. Combine that with the small town antics and you will be shaking your head and rolling your eyes, just like me. It was a lot of fun. - I received a copy of this book in conjunction with this tour. All opinions expressed are my own. While Piper tries her best to steer clear of Jace during his stay, she can't help but notice he's not the man from their first meeting. But is he worth risking her promotion? Or is Jace right, Piper deserves more than she ever thought possible for herself? Happy, happy, happy, happy, happy. That's what I am when I get to read a new Jennifer Peel book. Seriously. SO happy. Her books take me to that happy place in reading for me- that place of butterflies, attraction, emotion and the best kind of happily ever after endings. I love a good love story! Oh man. Piper and Jace have a horrible first meeting. Jace is such a louse. He's drunk, ornery and acting like a completely entitled rich boy. Nobody likes that. But, I have to say that after that first encounter, Jace slowly redeems himself. And when Jace is determined about something, he just doesn't give in! I loved the interactions and banter between Piper and Jace. They left me feeling all those butterflies in my tummy. Jace is one determined guy and ever so charming. He wants Piper and lets her know that in every way possible. Yummy stuff, that. This whole book has a sort of magical feel to it. The magic of love combined with the magic of Christmas in a setting right out of a fairytale. I loved it. Which is no surprise since I haven't met a Jennifer Peel book that I didn't love. I wish I had time to go back and read this book again right now. Talking about it makes me want to delve right back in. ha! 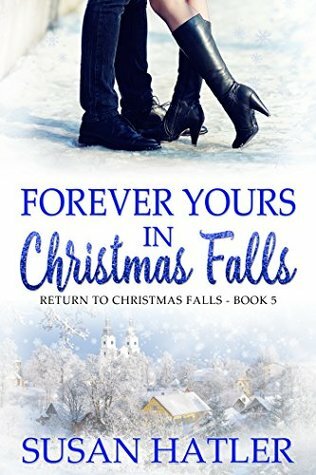 This book is part of the Return to Christmas Falls series, all released today. I really cannot wait to read them all because they have some cross over characters and all the characters from these books have a common thread in that they have returned to Christmas Falls where they were once all friends, bound together by a very special teacher. I have read Becky Monson's book (yay!!) and I'll be reviewing that one later this week. 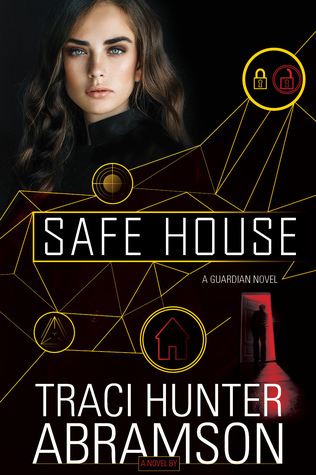 I also have Susan Hatler's book in the line up to be read this week. Man, it's going to be a good reading week! How cute is this cover? I just love it! And I love author Kimberly Krey. She is so good at writing characters I end up caring about and sparky scenes with witty banter. Trent and Jessie meet in a less than ideal way. They start out on the wrong foot- completely misjudging each other. It happens though. We make judgments based on what limited knowledge we have and once we get more of the story, we usually understand each other better. It's the same with Trent and Jessie. That spark of attraction was there from the beginning and it grows as they get to know more about each other. The misunderstanding and early judgments fall away as a friendship and respect take root. I loved the arc of this story- how it led me so easily from one emotion to the next. 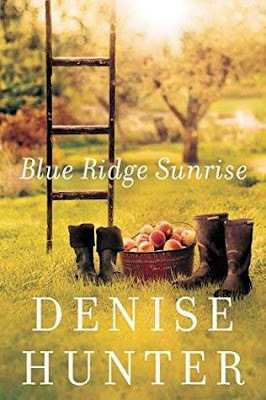 This book was so easy to fall into with a great cast of characters and a strong feeling of community. I really enjoyed it! 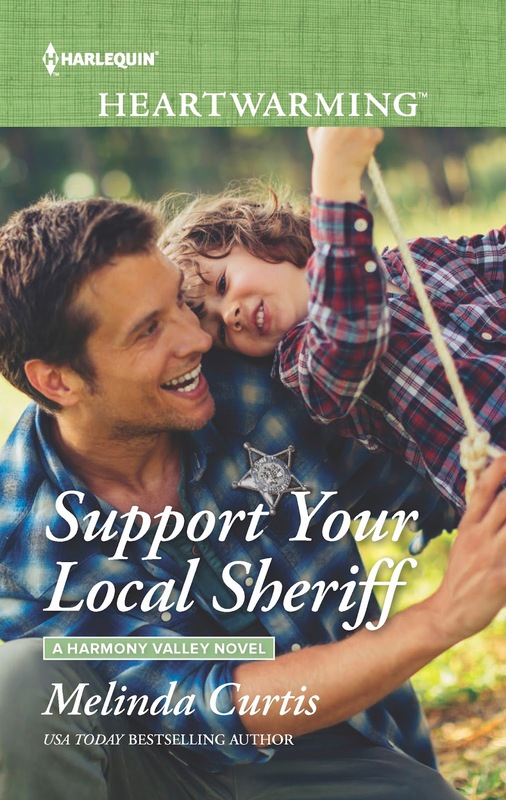 This novella is ever so sweet. Honestly, sweet is the best word I have to describe it. I read a book not long ago, also a historical fiction, that included bits about the orphan train as well. Before that, I had no idea those were even a real thing. Can you imagine the kids on those trains? How they must have felt? Scared, alone. My heart breaks just thinking about it. In this book, Addelaide accompanies these children on the train to help facilitate their adoptions. That is a job I would never be able to do. Addelaide is so kind and gentle. I loved her instantly. Miles is convinced that he will never be able to love again. There is no room in his home or his heart for loving and losing love again. Miles gets tricked into a marriage situation, but he agrees because Miles is just that kind of stand up guy. Even hurt he does the right thing. Thank goodness for that! This is a novella but I really never felt like it was rushed. The characters were well developed and full of life. I connected with them and loved them. That is sometimes hard to do in a novella length story. I'm not surprised though. Michele Holmes is one of my favorites and she knows how to weave a fantastic tale. 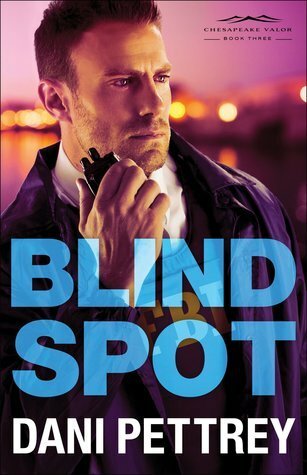 I am a Cindy Roland Anderson book lovin' fan. Is that a thing? If not, it is now. And I speak being the president. Cindy Anderson has a way of writing that just sits so perfectly with me. 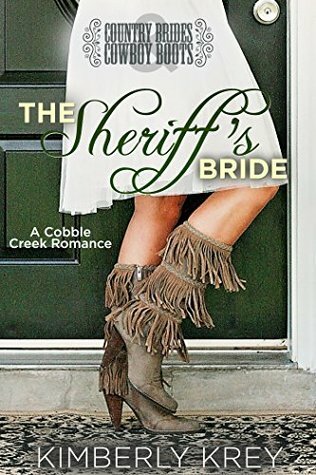 From her down to earth characters to her fun covers, her books are a treat from the minute I set eyes on them. 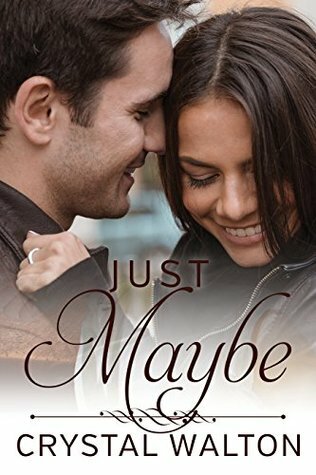 This book had me pulling my hair out in desperation for that first kissy connection between Ashlee and Beau. Ugh! The tension was killing me! Beau is all sorts of hung up on how old Ashlee is and how she is the little sister of his best friend. That man! He drove Ashlee and me crazy. Honestly. The attraction was zinging around all over the place. It was so fun. I read through this book so quickly. I didn't want to put it down and I loved the ending. <sigh> So good. Yum! Just writing this makes me want to go back and read it again right now. Yeah, that means it's good stuff! - I received a copy of this book from the author for free. All opinions expressed are my own.